Embarking on your journey and exchanging the comfort of your hometown and family for life in Madrid can be stressful — especially if you don’t speak the language or haven’t practiced in a while. 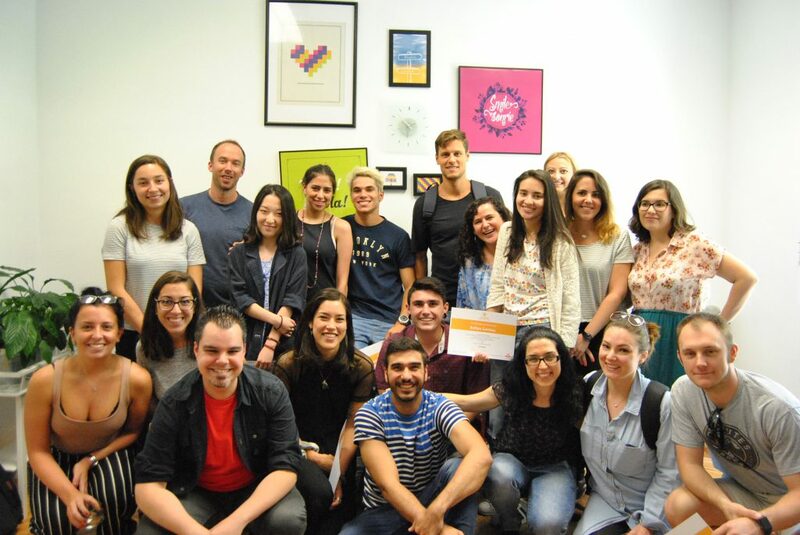 That’s exactly why the Spanish classes in Madrid at LAE Madrid Spanish Language School provide you with the opportunity to combine your life as an English teacher with social life in Madrid. This is possible because of the flexibility and comfort we offer. Besides the Spanish classes included in your program, we encourage you to take additional classes at LAE Madrid school. We will make sure we find you the course best suited to your needs. Using a level test we choose the options that can be easily integrated into your schedule and your proficiency level. Some of the most popular courses with English teachers are the intensive courses.These include 20 hours of classes per week and are specially developed to improve your Spanish at a fast pace. These courses will help you to achieve the fluidity needed for comfortable life in Madrid. The intensive Spanish courses also can be combined with individual classes (power hours). We’re talking about one-to-one classes with your teacher that help further improve your skills and concentrate on the aspects of the language you find most difficult. These classes will be designed just for you and fully focus on your specific needs. We will help you to prepare an exam, practice for a job interview, improve your writing skills, or just practice the conversational Spanish for long chats with your coworkers. The other popular choice among English teachers is the evening course. It consists of 3 hours of classes per week divided between two days (an hour and a half each day), starting after 7pm. This course is best suited for those who have other responsibilities during the day.